Come and Join in on the Tubing Fun! Extra Tubing Sessions Now Available!! 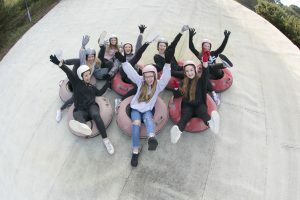 “Having taken my kids to a tubing party, they had such a great time, I wanted to give it a go, so arranged a works night out. It was brilliant fun and great to do something a bit different! We booked the last slot on a Friday evening, then had a few drinks in the bar after. Will definitely be booking again”.